Thirteen civilians were killed in an air strike against the Taliban in Afghanistan’s western province of Herat, local officials said Tuesday. The strike happened on Monday evening in on a key Taliban base in Bakht Abad village of Shindand district. Jelani Farhad, a spokesman for the provincial governor, said that strike was carried out by pilotless aircraft. He said that the strike left 29 people dead, including 13 civilians and 16 insurgents. 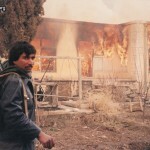 Seven more civilians were wounded in the incident and Farhad said that the victims included also women and children. Farhad said that 19 civilians who were being held captive by the Taliban fled their prison following the strike. 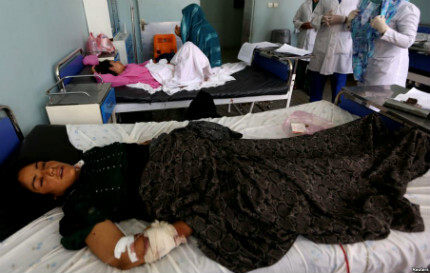 Mohammad Rafiq Sherzai, a spokesman for Herat’s main hospital, said that four injured people were admitted from the incident, adding a 6-year-old girl died in it. Meanwhile, NATO mission in Afghanistan said that the strike was carried out by the Afghan Air Force. Dawlat Waziri, a spokesman for Defense Ministry, said that the army killed 18 militants in Shindand airstrike. He said that the minister tasked a team to investigate claims of civilian casualties. A study published last week adds to a growing body of research showing that Afghanistan also has a high rate of drug usage  about 5.1 percent, or 1 in 20 people.